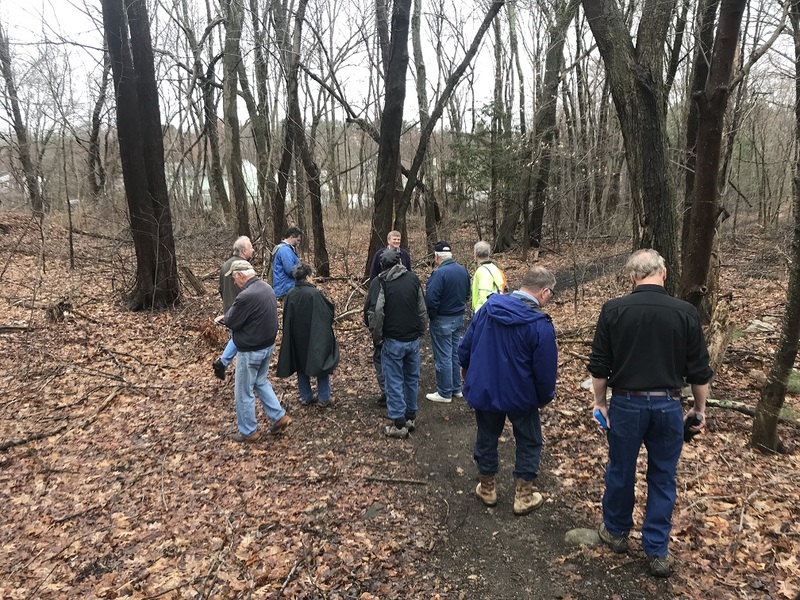 On Saturday morning April 13th, a few of us are planning a free and informal walk in Billerica, MA along some of the remaining portions of the right-of-way of the Billerica and Bedford Railroad – the 2' gauge railroad that started it all. A who's who of railroad and local historians will be joining us: Don Ball, the author of George Mansfield and the Billerica and Bedford Railroad, is flying out from Kansas City and Ronald Karr, author of The Lost Railroads of New England will be there. Add to that Jim Shea, President of the B&B preservation group Friends of Bedford Depot Park, and our own Dave B. and Philip Marshall. The 8 mile B&B was built in 1877 and went bankrupt only nine months later. Its two Forneys, rolling stock, and rails were moved up to Franklin County to jumpstart the Sandy River Railroad. Back in Massachusetts, most of the B&B ROW was built over in 1885 by the standard gauge Boston & Lowell Railroad, obliterating the original narrow gauge roadbed. But three miles of the original B&B that looped around Billerica Center were bypassed in the construction of the more direct Boston & Lowell. 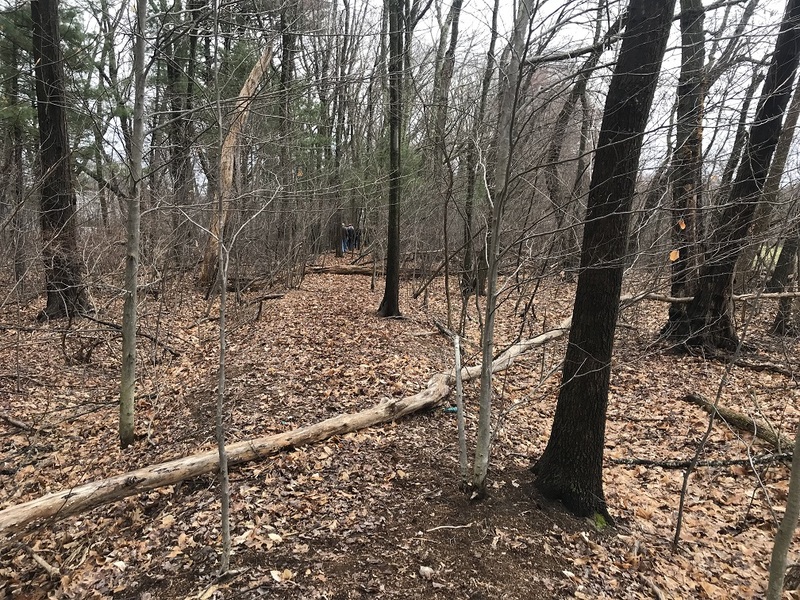 Much of that bypassed section was buried under housing developments in the 20th century and lost to history, but there are still a handful of interesting sections where a hundred yards or more of the original B&B can be clearly seen running through quiet woods. 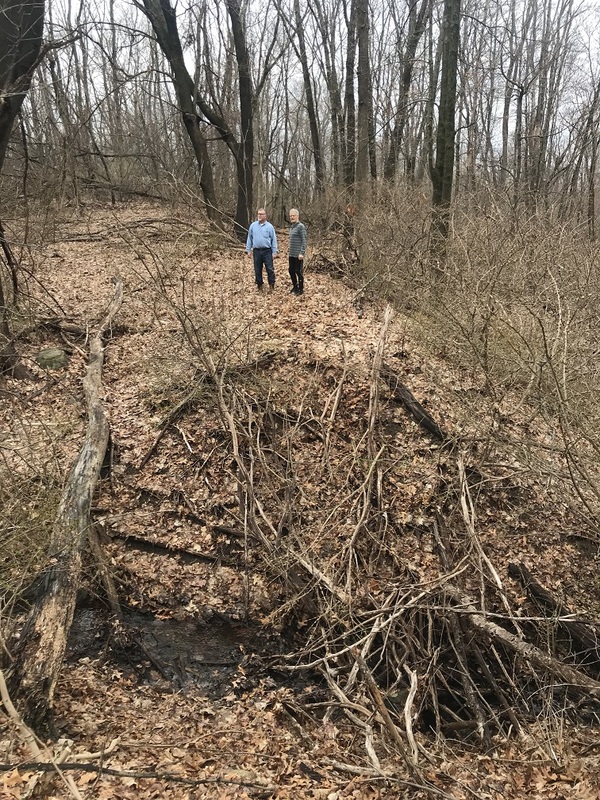 Those are the sections we'll be exploring – think suburban archeology rather than a rail trail walk. 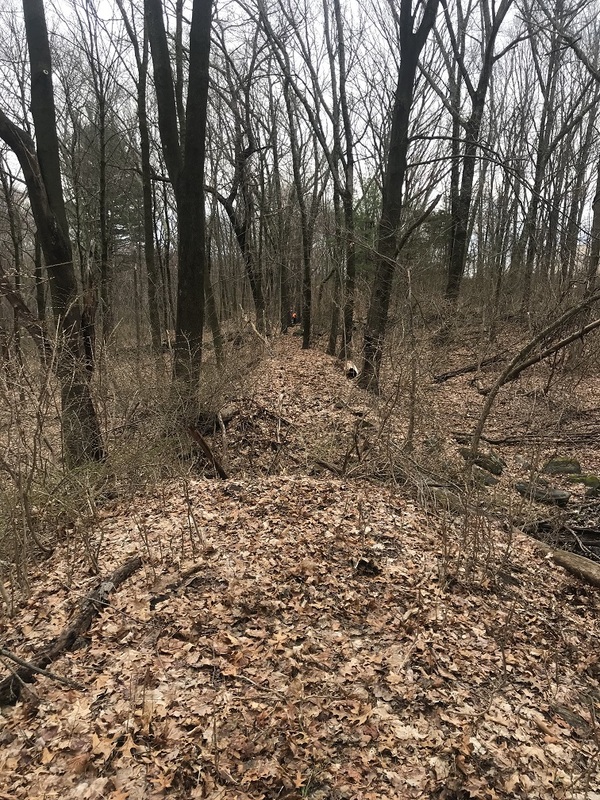 We've cleared out some of the underbrush on these sections so the sight lines are good. A photo of the NG ROW at its southern point of divergence from the SG is shown here to give you an example of what things look like today. If you would like to join us that day, please let me know at ben.rockney@gmail.com . I'll send you further details on our meeting place and send along some Google Earth files so you can see where we'll be walking and even follow along on your cell phone as we walk. It's very much exciting to do rail archeology; I did a lot in the nineties around Orleans in France where like everywhere in the country there were quite a lot of three-footers in the first part of the last century. How happy I was when I found some vestige and how it was interesting to picture on the spot what the railroad facilities and trackage were by looking at the same time old post cards or photos in a book. Have a nice day on the B&B RR. A hearty Thank You to Ben for organizing yesterday's expedition in Billerica. 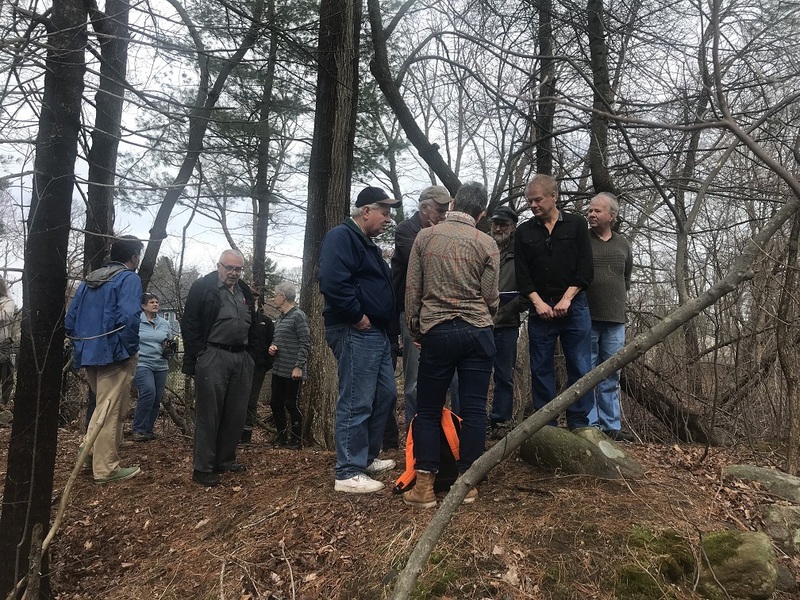 A group of 16 met to hike intact portions of the 1877 B&B right-of-way. Ben greets most of the group as we join the Boston & Maine right-of-way behind Federal Street. This section bypassed the original 1877 B&B route. Here's a section of the existing 1877 right-of-way parallel to Glad Valley Road. A portion of the raised right-of-way. Don Ball (white sneakers) stands in the center of the group, while Ron Karr is third from the right in the background. Perhaps the most impressive section of existing right of way is behind the Market Basket plaza. Here the ROW is on a 2 or 3% grade, a bit similar to our Mountain Extension. Here's a view looking south. Looking north, I got a better sense of the grade -- hopefully this photo conveys some of that sense. Dave is standing on the left. I learned a lot on yesterday's tour and enjoyed the hikes. Thanks again, Ben. Looks like a great time, and nice turnout. Yes, thank you Ben for organizing this walk on the B&B. I really enjoyed it and learned a lot about this famous but enigmatic little railroad, and I was delighted to meet Don Ball who graciously autographed my copy of his book. Also thank you Bill for posting photos.